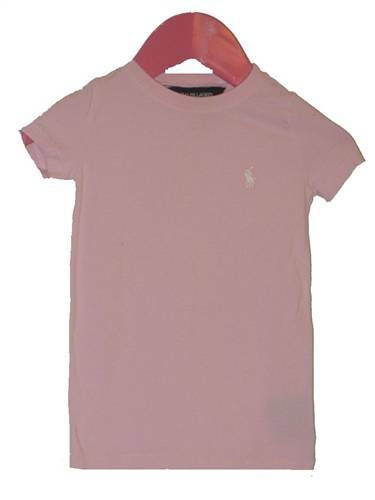 Short sleeve t-shirt with the Ralph Lauren Polo logo at chest. Logo embroidered with white thread. Pale pink.